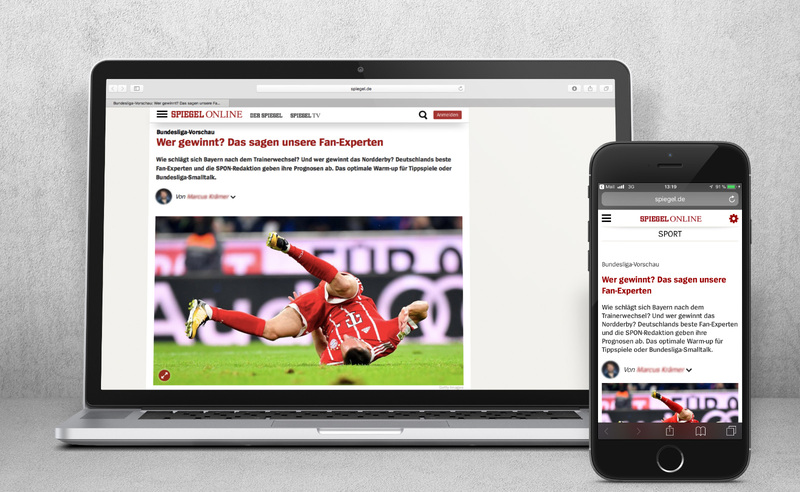 For the 2017/18 Bundesliga season, Spiegel Online (SPON) has decided on a new form of game-day preview: before every match, club experts will provide predictions on the motivation, form and emotional state of “their” particular Bundesliga club. These experts are distinguished by a high level of credibility as well as great expertise about their club. 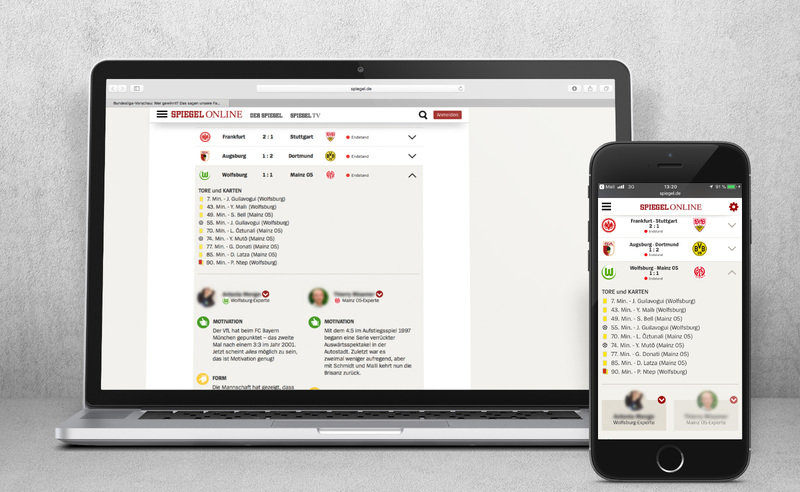 In addition, SPON editors will offer tips on the outcomes of the current day’s games and in doing so, provide the user with an able overview of the current form of each of the clubs playing. Based on a concept devised by SPON, E2 will be responsible for the technical execution of this game-day overview and for hosting the widgets involved. The data needed to do this come from E2’s own in-house sports database which has been expanded by the expert profiles afforded by the SPON editorial team.